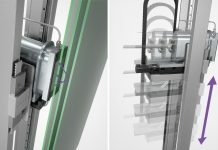 With a professional collaboration that goes back almost 40 years, the two companies in this article – A+W and Osby Glas – work together to put to good use A+W’s software developments in the varied production of Osby Glas, which includes insulated glass, interior glass, silicone-sealed facade elements, and safety glass. In fact, in the 1980s, Osby Glas was one of the first Swedish flat glass companies to use the brand-new A+W optimization software XOPT. Since then, Osby Glas has saved many thousands of tons of glass waste. Today, the company works with A+W software, from quotation creation to order entry to overall production control. Osby Glas has been producing insulated glass since the beginning of the 1970s, and with production of approximately 150,000 sq.m./year, today it is one of the leading insulated glass producers in Sweden. Other products are interior glass, silicone-sealed facade elements, and especially ever more safety glass. The company’s products are delivered all over Sweden by the company’s own fleet. Approximately 80 employees produced sales of SEK 146 million in 2017; with an increase to SEK 165 million expected. Osby Glas AB has been part of Beijer Industriutveckling AB-Unternehmensgruppe since 2015. 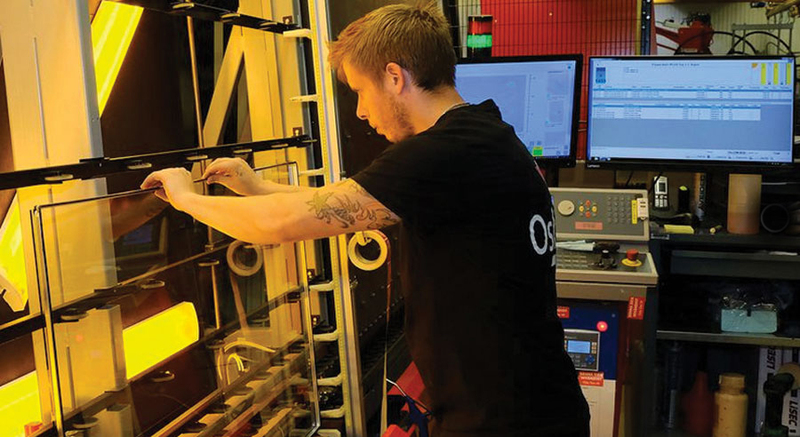 Thanks to its participation in UAB Stronglasas in Lithuania, Osby Glas has expanded its resources to include critical production capacities such as roller coater coating, screen printing, TG, and LSG. The more varied and high-quality a glass processor’s product line and product depth, the more critical it is to use a high-performance, industry-specific ERP system that can handle the enormous range of variants and map and control the company’s complex business processes flexibly. Osby Glas successfully uses the ERP system A+W Business in the commercial sector. With it, the Osby Glas team can not only enter, copy, and manage quotations, orders, credits, purchase orders, and inquiries, it can also control other company areas (e.g. storage, purchasing, shipping, route planning, etc.). Joel and his management team especially appreciate the many possibilities for entrepreneurial analyses, statistics, and evaluation. Here, A+W Analytics, a Business Intelligence program, also assists by combining and evaluating data from multiple sources and placing them on a uniform basis. It is important to understand that all data that is entered into A+W Business is now available everywhere at the company. It can be used for more than just commercial and administrative purposes; all production planning and control are done on this basis. Capacity planning and cut optimization are done with this data; the same data informs employees about dimensions and storage location of lites on monitors in production. All data is entered only once. This corresponds to the concept of fully-networked management and production that Osby Glas has implemented throughout the company. Thanks to systematic plant data collection (PDC), it is clear at all times at Osby Glas which lite is where, which processes have already been completed, and what remains to be done. The properties of the lites read out via barcode in processing are displayed clearly on A+W ProductionTerminals. The status of each lite (e.g. ‘in IGU production’, ‘production complete and placed on shipping rack’ or ‘broken’) is also updated via barcode reading and reported back to A+W Business. This way, the office team can provide customers with information about the status of their orders quickly and reliably when asked. With the new Webshop, Osby Glas’s customers can calculate and enter quotations and orders online 24/7. 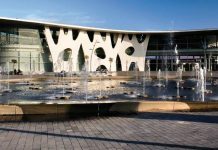 A+W iQuote guides the user intuitively through the configuration process, right on through to the completely-calculated quotation including graphically-appealing drawings. 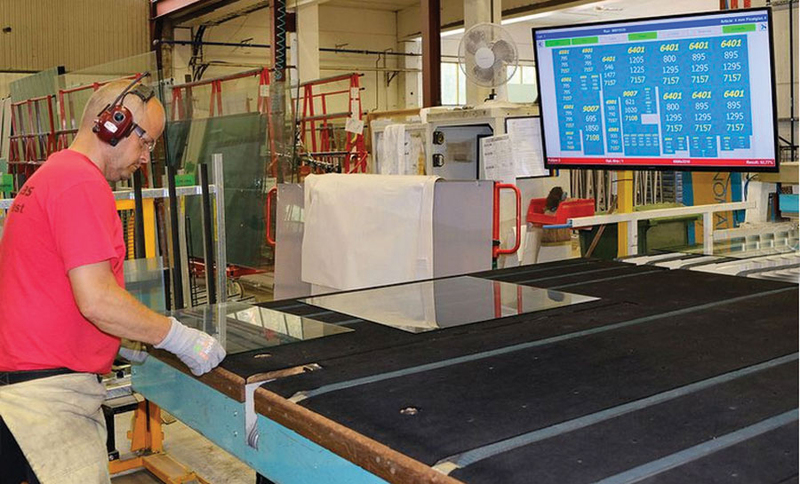 Ordering with A+W iQuote provides Osby Glass’s customers with the greatest flexibility and mobility. They do not need any installed ordering software or an office terminal, but rather only a mobile end user device on which they can use a Web browser. Osby Glas’s trade partner can work with end customers on-site to try out product variants, prices, and other options and create correct quotations – for he is always working with the current data in Osby Glas’s A+W Business system. These are advantages especially for Osby Glas’s glass and trade customers, for whom comprehensive commercial software is frequently too complex. Currently, 40 Osby Glas customers are already using A+W iQuote, and the number continues to increase. Large customers are also placing 80 per cent of their orders via the Web, however in some cases, in contrast to the glazing customers, they rely on EDI orders. In any case, the time of faxed orders with hand-drawn sketches has almost come to an end at Osby Glass. All of the measures described above eliminate unproductive work and increase Osby Glas’s earnings. At the same time, the digitization of order communication with customers creates a better user experience and is thus another argument for many glass and window builders to remain with Osby Glas. Of course it is also possible to purchase glass from discounters But these providers will hardly offer services such as A+W iQuote, not to mention training for efficient and fast order entry. Osby Glas receives more than 200 orders weekly through A+W iQuote, and that number is increasing by the week. 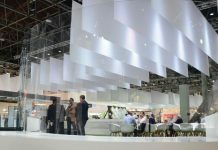 Customers recognize the added value that Osby Glas offers them. Outstanding products, active customer support, and consistent digitization will secure Osby Glas a permanent place as a top supplier on the Swedish flat glass market in the future.